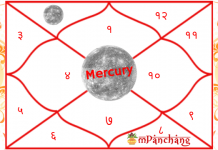 Rahu in 1st House – How bad it is? Planet Rahu is regarded as highly malefic and demonic in nature. Because of its irrelevant aspects, it is more of a shadow planet. The planet is considered extremely important as well as influential in Astrology when it comes to determining the behavior, traits, and nature of the natives. The first house usually symbolizes the native’s health, appearance, identity, features, and physical fitness. 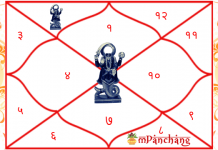 When Rahu has its placement in the first house of the horoscope then it makes an individual crave for recognition. They have a desire for a strong social status and to be physically appealing. 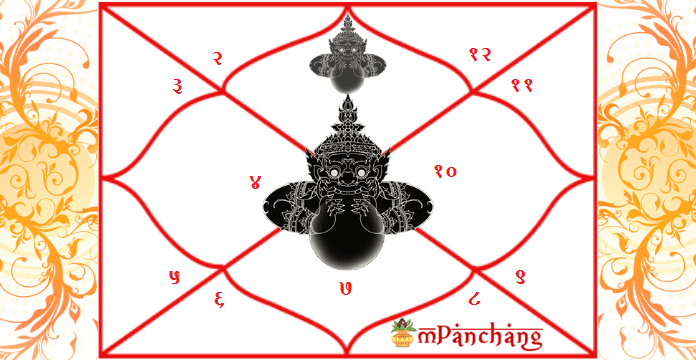 A free Janam Kundali analysis will help you find out the position of Rahu and how it can affect your overall life. Such individuals possess a competitive spirit and have a keen desire to develop their personal identity and seek attention from all. These individuals have a tendency to question everything and thus break all sort of boundaries to accomplish their aims and goals. The individuals like to promote and innovate such paths which can make them feel better and wealthier. The malefic effects of Rahu can also make the native addicted to alcohol and drugs. 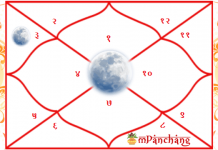 The positioning of Rahu in the first house of career develop an interest in the field of counseling and also advisory services as they like to resolve the issues of other people with their effective pieces of advice. Because of the inclination towards unethical acts, these individuals might also get involved in immoral activities and may indulge in the professions which involve unfair practices. Rahu and immorality, both the terms go hand in hand and so it can also compel the natives to be a part of the deceitful acts either intentionally or unintentionally. The presence of Rahu in the 1st house of the female natives make them highly conscious about their appearance and looks, thus, they are much inclined towards the artificial persona of a person rather than the inherent nature of an individual. They exhaust maximum of their time in appealing others. On the other hand, the placement of Rahu in the 1st house of the male natives makes them highly ambitious to attain their objective and life goals. Such individual change their mind on a frequent basis and look for ways to climb the ladder of success in the shortest time possible. The positioning of Rahu in the 1st House bring several problems in the life of the natives due to its malefic nature such as it makes the native aggressive, self-obsessed and immoral. The individuals are likely to have issues in their marriage. Dominance is one of the most visible trait offered by Rahu to the individuals who have their presence in their first house. The marital alliance of the natives might not remain satisfactory. The individuals should avoid accepting any sort of electrical products or electronics from the family members. Donation of copper, black-leather products, and black sesame seeds on Saturdays are helpful in eliminating the negative impact of Rahu.